One Call Away *** *<br>Dangerously *** **<br>Marvin Gaye *** **<br>Losing My Mind *** *<br>We Don't Talk Anymore *** **<br>My Gospel *** *<br>Up All Night *** *<br>Left Right Left *** *<br>Then There's You *** *<br>Suffer *** *<br>As You Are *** *<br>Some Type Of Love *** *<br>See You Again ***<br><br>4.15 - 4*<br><br>Gutes Debut-Album des jungen Charlie Puth, welcher hier hauptsächlich dank des Choruses von "See You Again" bekannt wurde, aber auch mit "Marvin Gaye" an der Seite von Meghan Trainor recht erfolgreich war. Er mag zwar gute Pop-Songs schreiben können, und auch seine Stimme ist ganz gut, aber mehr als 'solide' oder eben gut ist das Ganze nicht. Solide Pop-Kost eben, aber auch das ist ja generell nichts schlechtes. Besonders auffällig ist, dass hauptsächlich die Choruse hervorstechen ("Dangerously", "My Gospel", "Up All Night", "Suffer"). 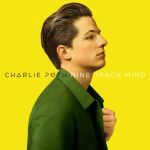 Sehr positiv finde ich, dass Charlie an den Songs mitgeschrieben und sogar teilweise selbst produziert hat.<br><br>Highlights: "Dangerously", "We Don't Talk Anymore" und "Marvin Gaye"
Wow, tolles Album, welche Entdeckung. Da fahren sowohl Tochter (10), als auch Papa (Alter unbekannt) darauf ab. I feel like I want to like Charlie Puth, but I really have no reason to. The vocal is not very good at all, breathy at times, with very limited range. It sounds like he struggles in the high register while his medium register is more whiny than anything else. The songwriting is also not particularly good, with all these allusions to grandiose things that he's gonna do for this person's love and affection, which really just sound like stupid nonsense. I have a feeling he will develop and get better, and I do think there's potential here (and since I've listened to this AFTER Attention has come out, knowing that I immediately like that one better than anything on here), I think the best is still coming. 3.4/6.